I’ve always wanted to go to the Safari Park in Natural Bridge, Virginia. It has been on my list for years and we finally visited over Spring Break. It was so amazing! The entire time was exciting – the children were laughing and smiling and everyone had a really great time. We got there a little after 2:00pm and we really wish we had arrived earlier because we could have easily spent the entire day there! They’re open from March to November, as they are closed to the public during the Winter months. It is rated as the #1 attraction to visit in Natural Bridge, VA which is no surprise! The Safari Park is 3 miles long and covers 180 acres, has over 1,000 animals, and it’s Virginia’s only drive-thru zoo! After purchasing your tickets and specialty feed, you’ll head out on your adventure and begin feeding the different species of animals that roam freely among the 180 acres. 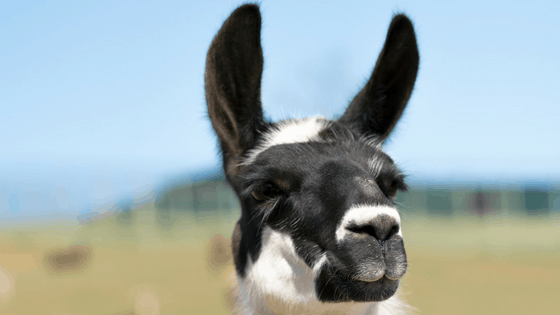 From llamas to bison, and even emu’s, you and your family will get to feed a variety of animals. You will receive 1 guidebook free of charge. If you want more than just one, they’re only a couple dollars for additional ones. The animals in the drive-thru portion of the park roam around freely. So they will come up to your car, stick their head in, and sometimes try to steal your bucket of food. The kids had a blast because some of the animals were trying to steal the buckets out of their hands. They had to hold on tight but we did end up losing a few buckets along the way. Some of the animals were more gentle as they ate. They did however stick their head in and demand food even when you didn’t have a bucket in sight. The kids had so much watching the personalities of the animals and my husband fed an ostrich that was hilariously aggressive while trying to retrieve food from the bucket. A llama especially liked the food I was offering because it stuck it’s head in the car and wouldn’t move it until he got his fill. The children were all giggling and having a great time. There’s another part of the Safari Park experience and it is just as fun. It’s about 10 acres area with another variety of animals. There you will find giraffes, Bengal tigers, penguins, farmyard animals, and even an aviary filled with free flying Budgies! You can purchase Budgie sticks in the gift shop and it’ll definitely help you in getting to handle a Budgie. This was a very interactive part to the whole trip as the children got to try and retrieve their own birds and they got to hold so many different ones! The birds were all so colorful and the whole family enjoyed the challenge of getting one to step onto their Budgie stick. There is also a petting area for the farmyard animals where you can pet pigs, pygmy goats, chickens, and llamas. One of the most fascinating animals to me is a giraffe. In the Virginia Safari Park you can actually feed them! They have a platform that you can either feed them pellets from the dispensers or you can purchase romaine lettuce from the gift shop. Seeing these animals up close and personal was definitely a highlight for me and if you enjoy giraffes as much as I do, it’ll be a highlight for you, too! If you don’t want to drive your car through the Safari Park you can opt-in for the wagon rides. There is an additional fee per person and they run daily. It’s a great option if you have a large group going together so everyone can experience the park together. This was by far one of the best trips that we have taken as a family locally. Check out what reviewers have to say about the Virginia Safari Park on TripAdvisor! What an adventure! My son will definitely love to go to a zoo like this!